On the great sculptor Auguste Rodin. The great sculptor Auguste Rodin (1840–1917) is a moving example of how an artist was shaped by his unwavering commitment to find the story behind the story. 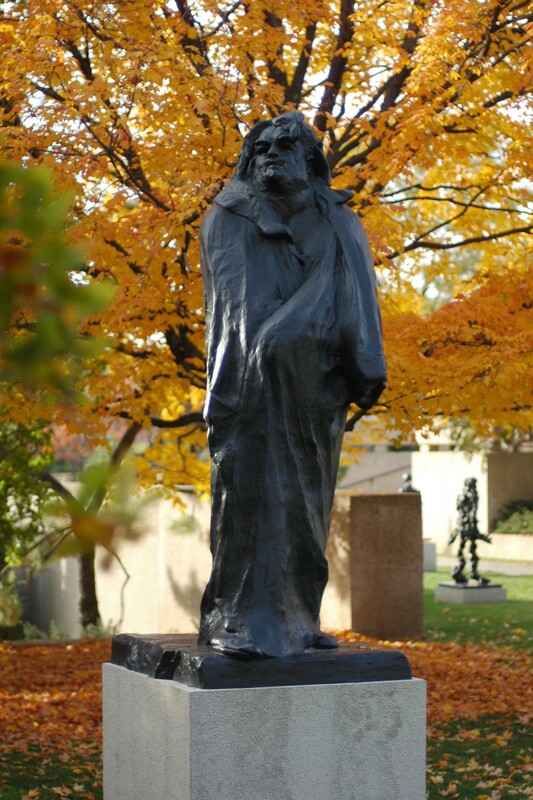 In 1891, Rodin was commissioned by The Society of Men in Letters in Paris to create his now legendary sculpture of the eminent French novelist Balzac (1799–1850). Rodin immediately immersed himself in understanding who Balzac was. The sculptor researched the character and personality of Balzac, and read all the author’s books. He traveled repeatedly to the author’s hometown of Touraine, France, in order to sketch and fashion clay studies. He even had clothes resembling those of Balzac made by the writer’s former tailor. Rodin’s preliminary work went far beyond the eighteen-month deadline The Society had set. The Society grew impatient and threatened legal action to force Rodin to work faster. Yet the immersed, impassioned sculptor continued to ask for extensions while making over fifty studies. He felt compelled to follow this journey to its unknown conclusion. In 1898, after seven years of work, Rodin proudly presented a full size plaster model of Balzac to The Society. After all this time, it was rejected because it was so removed from the physical likeness of Balzac. They completely missed the sculptor’s gift; the way gallery owners of the same era rejected the early Impressionists because their trees didn’t look like trees. Rodin sadly moved his model of Balzac to his home in Meudon. At fifty-eight, the brilliant sculptor, empowered inwardly by his artistic journey, felt unseen and alone. His companion, his muse, his larger than life model of Balzac stood covered in his studio, a muffled reminder of Rodin’s rejection, despite his fame. Steichen went to Paris in 1908 and met Rodin. They struck up a friendship and Rodin pulled the cover off his sleeping Balzac, asking the young American to photograph it in the moonlight. And so, the dusty Balzac was wheeled out into the blue light of the moon and the great sculptor watched in silence as Steichen framed the statue awakening before them. This is the story behind the story that reminds us that being seen and heard really happens one person at a time. The statue was never cast during Rodin’s life. Finally, on July 2, 1939, twenty-two years after the sculptor’s death, the plaster model was cast in bronze and placed in Paris on the Boulevard du Montparnasse at the intersection of Boulevard Raspail. When you look into Balzac’s bold stare, you can see Rodin’s unwavering certainty of his own vision. The statue he created of Balzac was masterful and unprecedented, but the search for Balzac shaped Rodin himself into the fullness of his gift.